Stop Saying "I wish I could travel more"
Every time anyone goes on vacation and posts gorgeous photos on social media, frequently someone says, “You’re so lucky. I wish I could travel more.” You can almost hear the wistful sigh. It took me 20 years of effort to get as “lucky” as I am now. True, if you’re unemployed, on disability from a (real) injury, and are collecting food stamps, regular travel might be kind of tough. But even then I’d argue you can take the commuter train or bus line to the very last stop and at least get a change of scenery. You can get a Megabus ticket for the price of a combo meal at Burger King. 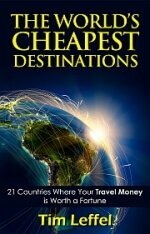 You can travel around the world by visiting cheap ethnic eateries in your city and shopping at their stores. For most people though, it’s just a matter of shifting priorities. Instead of buying memorable experiences, they’re buying more stuff. Then that stuff locks them in place and puts them in a financial jail of their own making. “I can’t save up money to travel” usually translates to “I have two car payments, a big mortgage, and that home renovation to pay for.” If you add up the price of the last four electronic gadgets or toys an average American family bought, it’s usually enough to travel a month or two in one of The World’s Cheapest Destinations—or to buy a flight to anywhere in the world. If you have trouble putting money away for travel, then it’s probably just a matter of moving it up on your priority list. Start small if it’s tough to change your spending habits. Forgo a few weeks of Starbucks or lunches out and you’ll have enough for a weekend at a state park. Put off the phone upgrade for a while and you’ve got enough gas money to drive across the whole USA. Don’t buy that new pair of shoes you really don’t need and spend it on a hotel night instead. Use Uber for a few months instead of getting a second car (plus the insurance) and you might have enough for a flight to South America. Those are small wins, but imagine the big ones you could gain if you downsized where you lived, or moved to a cheaper city, or drove a paid-for used car instead of a new one with a car payment. I’ve met plenty of people earning 1/3 what I do who are traveling the world regularly and living a happy life. 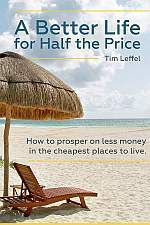 If you are spending thousands of dollars a month on something besides rent or a mortgage, then that could be turned into travel as well. 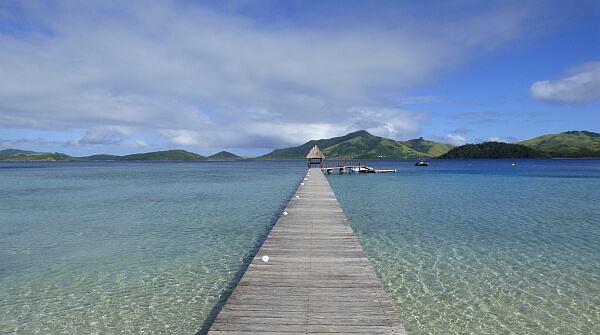 I just flew to Fiji and back on miles. A flight that would have cost $1,700 to purchase was less than $100 (in taxes) because I used American Airlines miles on AA and Fiji Airways. Most of those miles I did not get by flying. I earned them through a credit card sign-up bonus and by putting some regular monthly bills on that card. My night at a Westin Resort before flying back was paid for with Starwood loyalty points obtained the same way. Back during the start of the great recession and housing bubble pop, you couldn’t open a travel magazine without seeing the dreaded word “staycation,” but anyone uttering that word now is just plain lame. 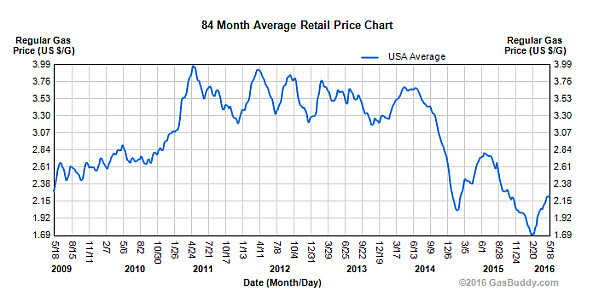 Gasoline is cheaper than it’s been since 2002, adjusted for inflation. Great post. A co-worker recently lamented about how she can’t afford to go anywhere after I came home from a trip to Belize. She later in the week talked about the new $300.00 purse and $500.00 ‘s worth of shirts she just bought. All I could I think was, that’s a plane ticket! Wow so true! 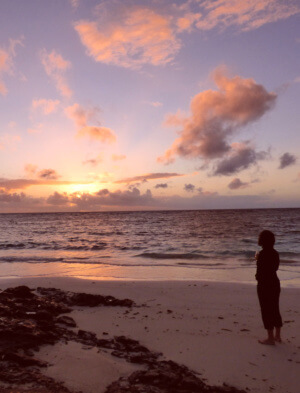 Everyone who says they wish they could travel more should read this article. If people really want to see the world, it is possible. Who wants to see the world and why? Why? is a good question, but easy answer for people who want. Who? I don’t care. Then you’re reading a travel blog because…? Thanks Tim, thats a good reminder for me to stop nickle and dimeing away my travel dollars on anything less than essential items. Last year I saw both Canadian coasts Florida and the bahamas. Only Costa Rica so far this year, but heading to Trujillo Peru for the month of August. Saving for Koh Phangan, Thailand in February. My income is just over $1000 per month. Your book has been a great resource in my planning. Use this note as you wish. Thank You Again. When folks bray that they can’t travel due to the reasons you and other posters have summed up, when they say that foreign travel is fraught with risks (i.e. terrorism, ‘dangerous’ countries like Mexico, Nicaragua, the collective Eastern Europe and a few Asian ones for good measure), when they worry about native foods and cultures, and when they’ve never been outside of the U S of A, my response is a smile. That’s it. I’ve learned long ago to NEVER argue with an idiot nor an ideologue. Or someone with serious mental health issues. Lot of people on social media ask me the same thing and I feel its the courage to prioritise how one wants to lead their lives. Honestly, I love visiting cities that have a rich food culture. I’m not a gourmand, but you can say a lot about an entire civilization just by looking at the way they eat. Nice post. I used to say “I wish I could travel more” and then one of my high school friends recommended WV to me. I joined it, and loved it. I nearly doubled my trips one year, definitely saved on price and got better quality. Before that, I think the price of vacations was what killed me in particular. No matter how many costs I cut the trips never seemed affordable enough. If you haven’t checked it out, you should.